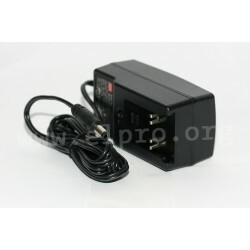 The power supplies for AC plug adapters with universal input, low no load power consumption and insulation class II conform Energy Star Level V and are protected against overvoltage, short circuit and overload by pulsing hiccup shutdown (auto recovery). 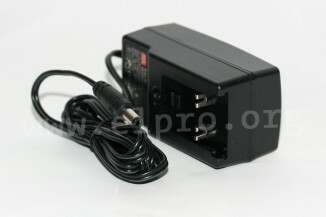 AC plug adapters EU, UK, US or AU need to be ordered separately. We are offering the following types by Mean Well: GE24I05-P1J, GE24I07-P1J, GE24I09-P1J, GE24I12-P1J, GE24I15-P1J, GE24I18-P1J, GE24I24-P1J and GE24I48-P1J.